Before we dive into what a performance coach is, let’s just set the scene a little and highlight what the personal training industry looks like in Singapore right now. So, you’ve just signed up for a commercial or boutique gym and are in the market for a personal trainer. Maybe you want to improve your golf swing and eliminate that low back pain? Maybe you’re looking to finally fix that niggling tennis elbow or you just want to lose a few kilograms. Whatever the reason your first session with a personal trainer is likely to look something typically like this... First off, your average personal trainer will ask you a few questions, run you through a few simple movement tests and then, stick you on the leg press machine. The better trainers may run through a similar process and then have you doing squats instead. The even better trainers may actually get you to do a little foam rolling first or some mobility drills before administering your program for the day. The big questions here are how are they deciding exercise selection from the 1000s of exercises out there based on only the 10 minutes amount of time spent with you initially? How are they deciding how many reps, sets, loads, rest periods and tempos to assign for each exercise? How are they deciding how frequently to assign these exercises? How will they determine when you need to change the program? How are they reviewing your perceived flexibility, mobility, stability, strength, power and endurance performance? And if they do have the ability to crunch all this data in their heads, and mentally prepare a perfect month long program filled with a comprehensive array of program design variables then, why do they end up sticking you on the leg press machine anyhow!? The industry has developed like this because when people first engage the services of a trainer they are keen to get cracking, they have the proverbial “bit between the teeth” and want to get sweaty. Sweat = progress, does it not? And the trainer wants to keep the client happy and encourage those hibernating endorphins to be released as soon as possible to ensure the client leaves the gym in a euphoric state and that reinforces the desire to return and do it again. Unfortunately, this complete lack of analytic process applied to personal training results in inadequate program design, incorrect exercise selection, reinforcement of faulty movement patterns, a lack of progress for your desired goals and oftentimes injuries both chronic and acute. So what is a Performance Coach? A Performance Coach ensures that you perform at your very best irrespective of where you currently reside in your fitness and movement journey. The only way to do this is by adhering to the following key principles. 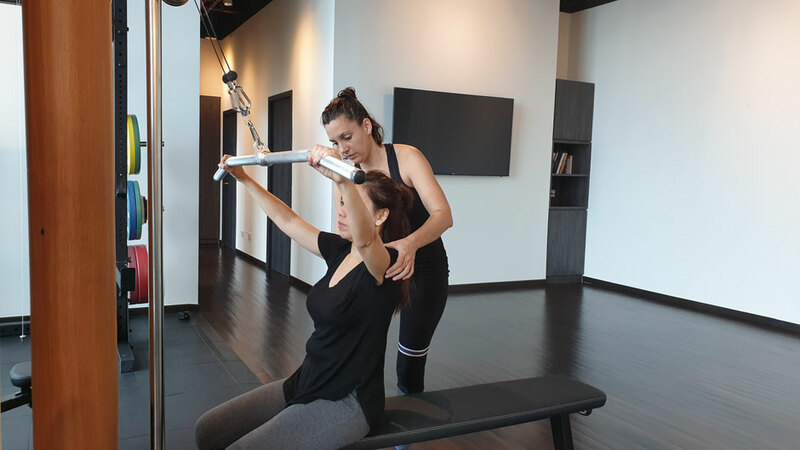 Performance Coaches should have a mixture of the industry’s top tier movement qualification including, for example, Polestar Pilates, NASM and CHEK Institute accreditations. These expensive and difficult to pass qualifications immediately ensure that our coaches are in the top 1% of all movement coaches in Singapore and enables them to effectively deal with rehabilitation from injuries, chronic pain management, postural correction and any lifestyle ingrained faulty movements patterns. On top of these skills our coaches also have complimentary qualifications such as Bachelors and Masters degrees in Psychology, Food Science and Technology. Levitise’s Performance Coaches conduct a thoroughly comprehensive 1 to 2 hour functional movement screen before we assign a single exercise to a client. This is the only way to minimise injuries and maximise performance. We will then sit down and look through these tests in detail, in conjunction with the screens below, before starting to write our programs. Our Performance Coaches are cross trained in Holistic Lifestyle Coaching in order to ensure our training programs do not exert an increased physiological stress load on our clients. We use a proprietary series of assessments to evaluate your physical and emotional stress levels that helps ensure our programs do not increase the total physiological load upon your body. Only then can we design a perfectly tailored program geared to optimise your performance irrespective of whether you are a desk bound executive or an elite level athlete. We design a full program, normally 4 to 6 weeks in length, that is catered to your goals and that works around your busy lifestyle. 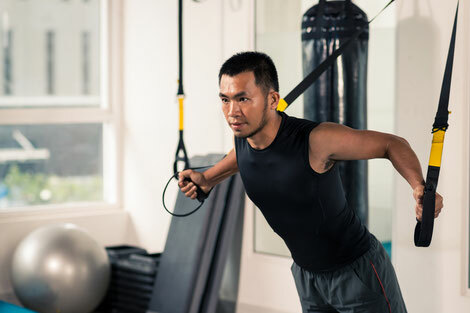 We include a full list of exercises, sets, reps, loads, tempos and rest periods – the latter 2 of which are almost always overlooked by 99% of trainers in Singapore. We write everything down. Did you complete the exercises? Did you miss any reps? Did you perform the exercise with good form? What was the rate of perceived exertion (RPE)? How did you feel? The only way to know if you are performing better and improving is to have everything documented. And lastly we retest regularly, such as every 6 weeks, to ensure that our programs are effective. It keeps us honest and accountable and gives you qualitative and quantitative assurances that your performances are improving. We really are breaking new ground here in Singapore and we’re very excited about the quality of our coaches and the systems we have designed to help you perform at your best. In addition, we like to think we’re nice people and that you’ll enjoy training with us! Because when you come to Levitise you don’t “work out” but we train together to help you achieve your goals. So, if you’d like to know more feel free to get in touch and we can see how best we can support you.